After a session running around with the boh, at the point where I feel tired and free, I walk over to the blackberries I found at the end of running eiko (cutting the sky). 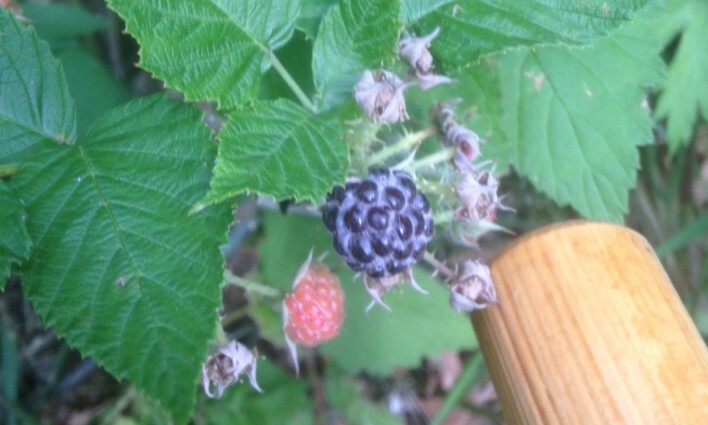 I pick three of them and eat each one as if it’s the last blackberry ever. A lot of energy from a blackberry.